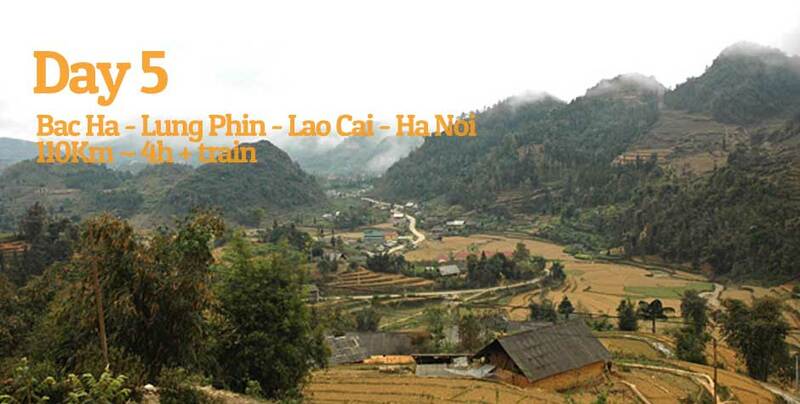 5 Day Tour (train to Hanoi). Features Kilometers : 550 km. 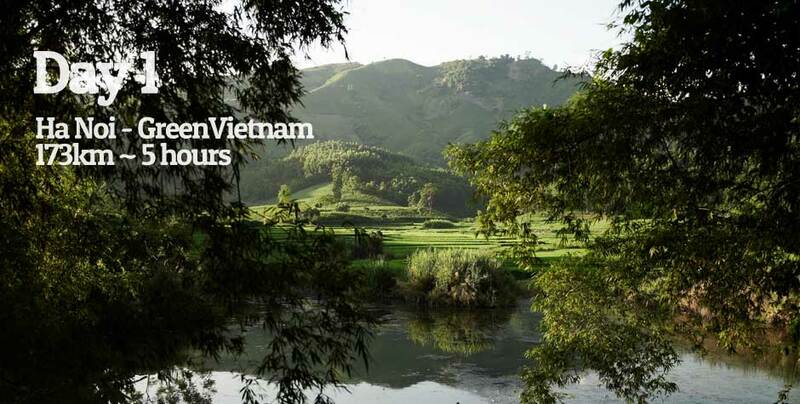 You will be welcomed by a dynamic vietnamese agricultural family who manage the place. We sleep in the stilt-house in the heart of an extraordinary garden of fruit trees. It’s opportunity to discover and participate in the development of a unique project in Vietnam. We should have enough time left for a first visit of the “gardens” (only few thousand fruit trees) before appreciating the excellent family food of Cordon Bleue Madame Huyen. Quiet morning with our friends from at Green Vietnam before we hit the road again, to get to our project LAVIEVULINH – Sustainable development – Education – Culture – Environment – Ecotourism. We are on the edge of Thac Ba lake, biggest reservoir of North Vietnam. Arrival for lunch, chilling out on the terrace in front of the lake, welcomed by the family and the apprentices of the project. We will relax this afternoon, enjoying the site, learning how to paddle like Dao people, or going for a small walk around. Short stage today, so we can enjoy a bit more the lake this morning. Magnificent road along the fjords of the lake, surrounded by sugar loaf hills and palm trees. Then the road goes up in the foothills of the lake, giving amazing sceneries, afterwards goes down to the valley of Luc Yen, located on the west end of the lake. 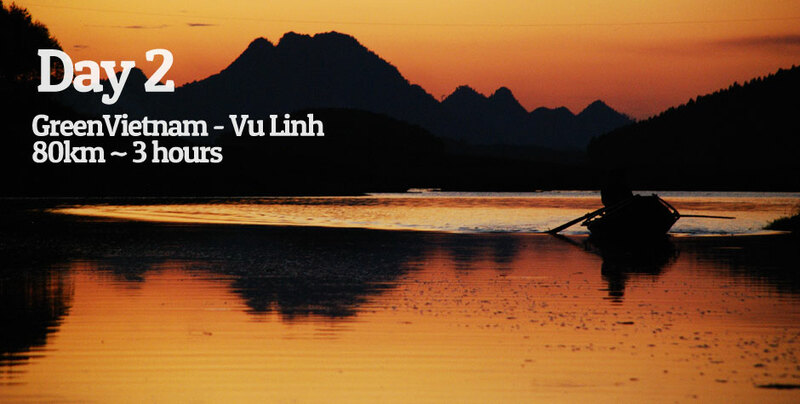 Luc Yen is a lively small town which specific economy activity is gems. We stay overnight away from the city, in a nice stilt house belonging to our Tay friends, on the bank of a pond, in the village of ‘below’. In the morning, we pay a visit to the neighbor from the ‘upper’ village. They are red Dao people and from a former toggle filiation. We will go through the jungle by feet. Only 2km to reach this nice village. Still heading north along the Chay river. Beautiful roads going closer to China border. 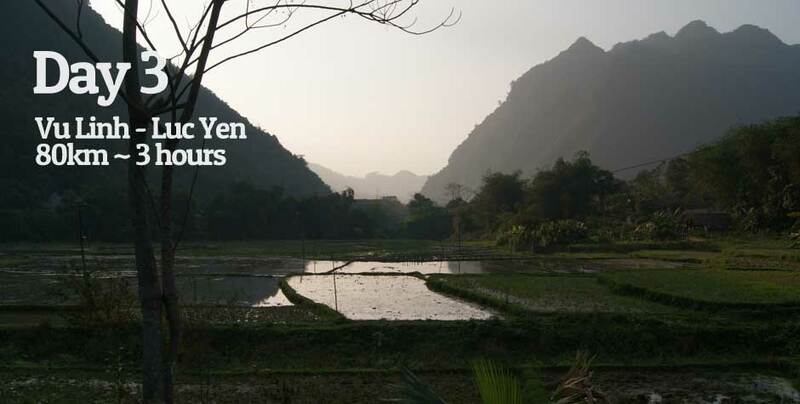 We go at a paced rhythm fully enjoying our ride through the Sino-Vietnamese mountains. 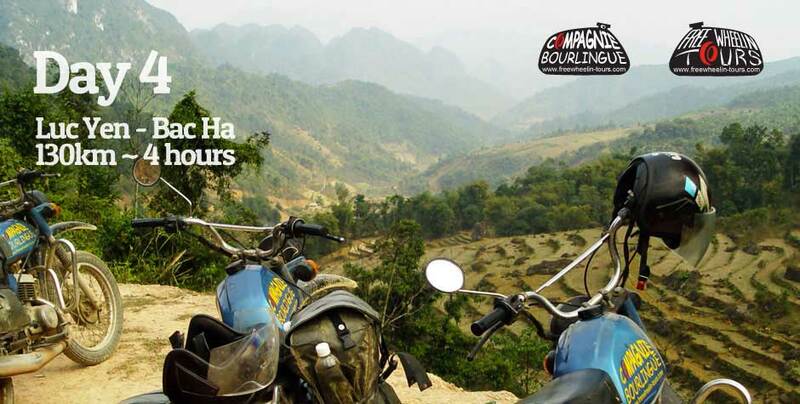 We climb up to the plateau of Bac Ha. We have time to visit the surroundings. At the end of the afternoon, we will head towards Lao Cai. We take the night train to come back softly in Hanoi. Arrival around 5h30am next morning.